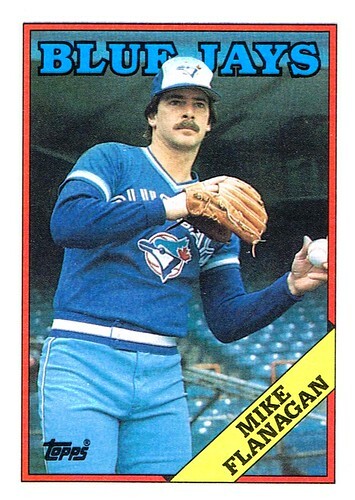 Mike Flanagan was a decent pitcher for the Jays from 1987-1990, but I almost feel guilty calling him a Blue Jay. He was a Baltimore Oriole through and through. He came over in a trade after 12 years as an Oriole and then he re-signed with them after his stint here in Toronto. Here's a little Mike Flanagan trivia for ya. When we traded for him in '87 he owned more wins (17) and innings pitched (208) against us than any other pitcher.